I know this blog is mainly about street photography, but this Summer I got to indulge in another passion of mine, the Derbyshire Peak District. I love this place, back when I lived in Sheffield, this was my playground. Every weekend and also some of my week days were spent climbing and walking out here. So when I got the chance to sneak out and get into the hills again,I was out there! 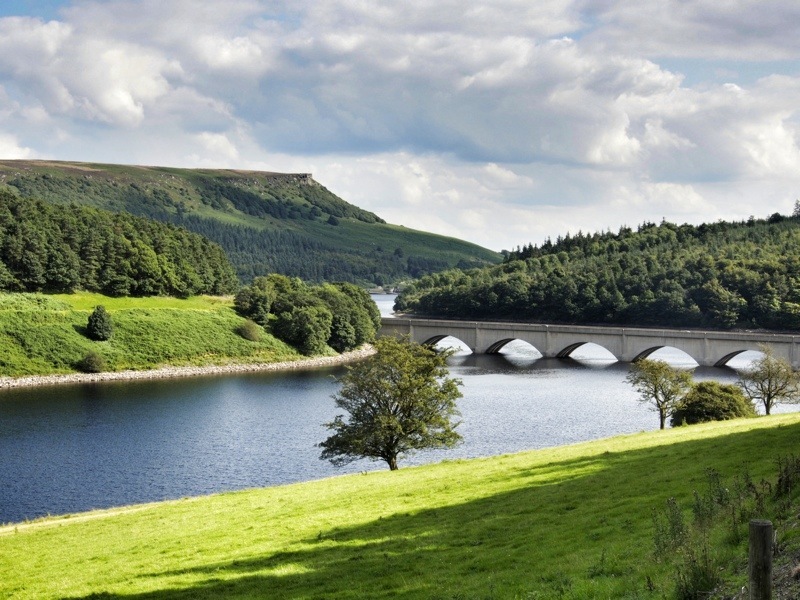 This the Ladybower Reservoir, a huge dam that covers a vast area, built between 1935 and 1943, it took a further 2 years to fill it! The building of the reservoir resulted in the ‘drowning’ of the villages of Ashopton and Derwent (including Derwent Woodlands church and Derwent Hall). The buildings in Ashopton were demolished before the reservoir was filled, but much of the structure of Derwent village was still visible during a dry summer some 14 years later. The clock tower of the church had been left standing and the upper part of it was visible above the water level until 1947, when it was seen as a hazard and demolished with explosives. The rock out crop to the left is Bamford edge. Another favourite walk is up Win Hill, the peak of which is called Win Hill Pike, that’s where the ‘Trig’ point is found. My preferred route is the short but very steep climb up from Yorkshire Bridge, it will definitely put colour in your cheeks! There is rumour of a battle taking place over Win Hill and Lose hill, but apparently there’s no record of it, so it should be regarded as a myth. 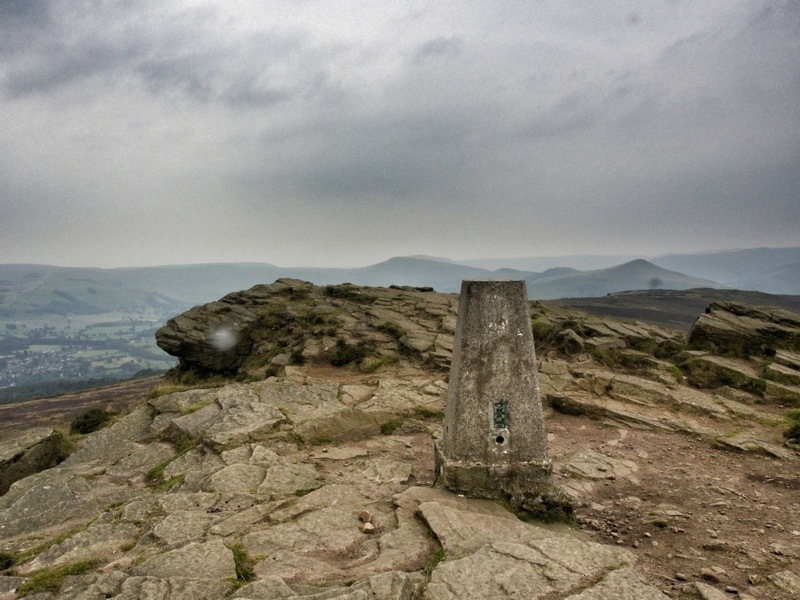 To the right of the Trig point is Lose Hill, and if you follow the ridge along, to the left of it is Mam Tor. 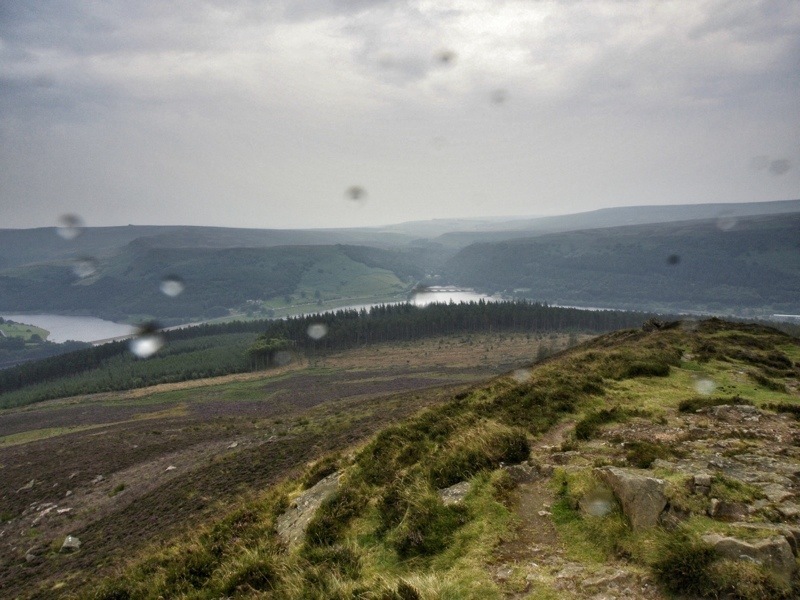 This picture shows the view from Win Hill Pike back down to the reservoir and the bridges clearly visible. Please ignore the rain spots on the lens, the morning started off dull but dry then turned very wet, very quickly. On the way back down I met a family who were walking up the road track route, dressed in what can be best described as their ‘Sunday best’! !, all huddled together taking shelter in the trees! Why do people do that?…..if you’re coming out into the hills, at least be prepared and wear suitable clothes! #Common sense! All pics were taken using the new Olympus OM-D EM-5, four thirds camera with the very versatile kit 12-50 lens on. This gives a great weather sealed set up, ideal for the rainy hills of Derbyshire!